How well is the UK cutting its greenhouse gas emissions? 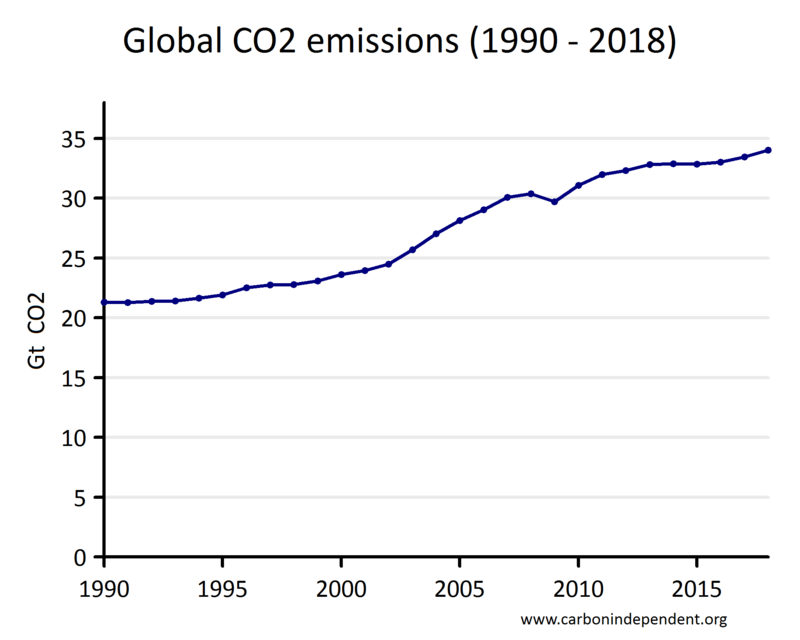 Despite the numerous international agreements, global CO2 emissions have continued to increase. In 2018, there was a further 1.7% increase to a new record. This chart is not copyrighted - it can be freely copied. The fall in 2009 was due to the international banking crisis. The data for 1990 - 2017 is taken from the BP Statistical Review of World Energy . The value for 2018 is derived from the 1.7% increase that was reported by the International Energy Agency .